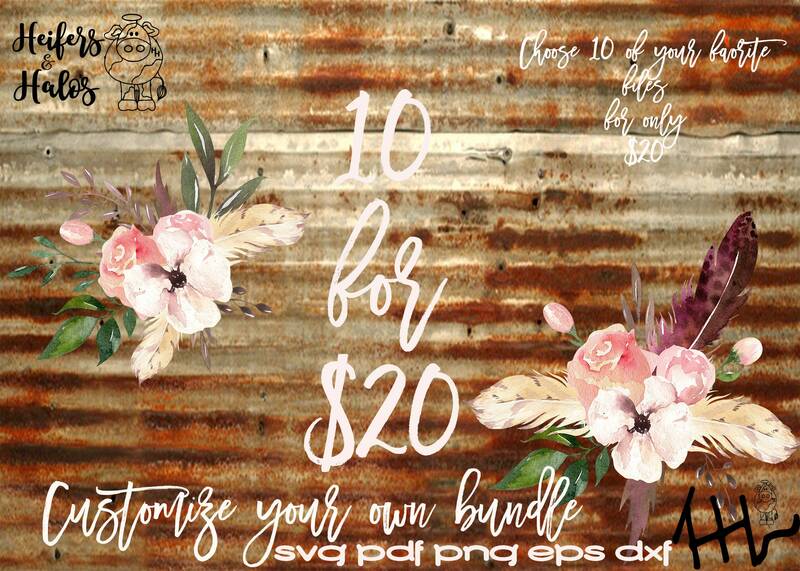 Choose 10 of my listings to create your own bundle. These listings must not be more than $3.50 each. 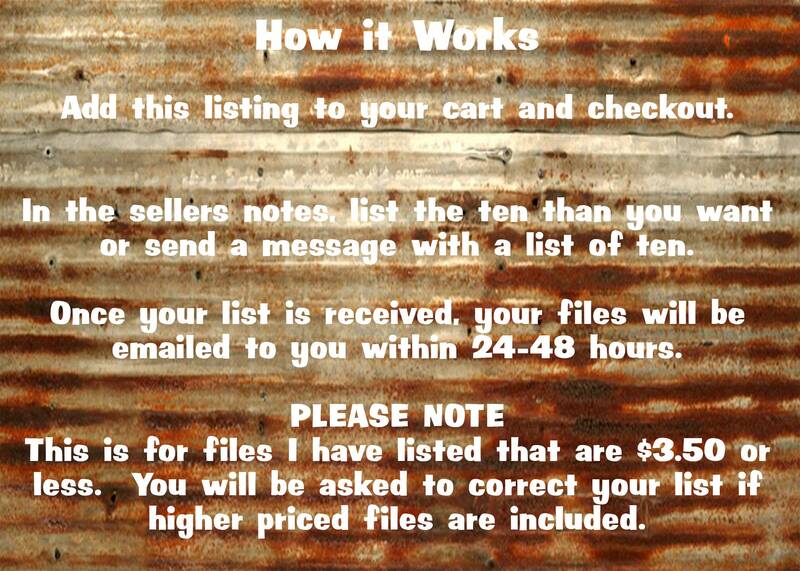 If your list contains a listing for more than $3.50, I will send you a message to choose another file. Check out with this listing, in messages to seller, list your ten files OR message me with your list. As soon as I get the list and within 24-48 hours, I will email you the files. Wonderful files! AMZING customer service and communication!! Will definitely be buying more! I loved having the option to purchase multiple files at a discount. The files all downloaded perfect and are great quality.